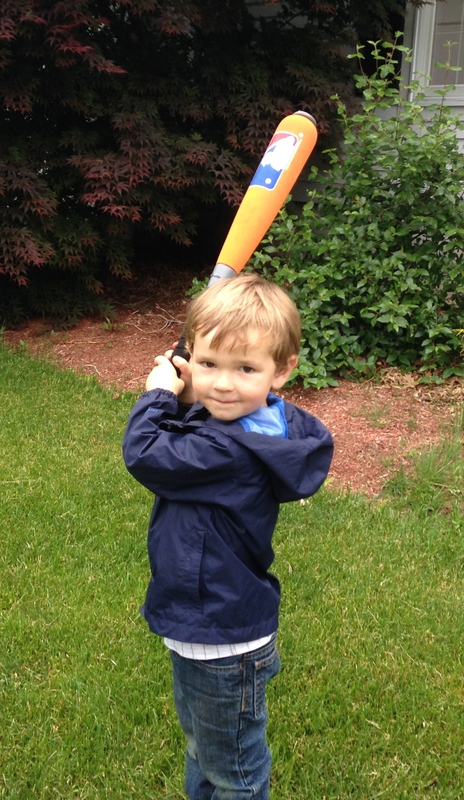 My nephew, Griffin, discovered baseball this summer. His parents brought him to a minor league baseball game late last spring and he was instantly hooked. He spent much of the summer learning to slide, bat, catch, pitch, and bunt. Other three year olds have imaginary friends; he has an imaginary baseball team. 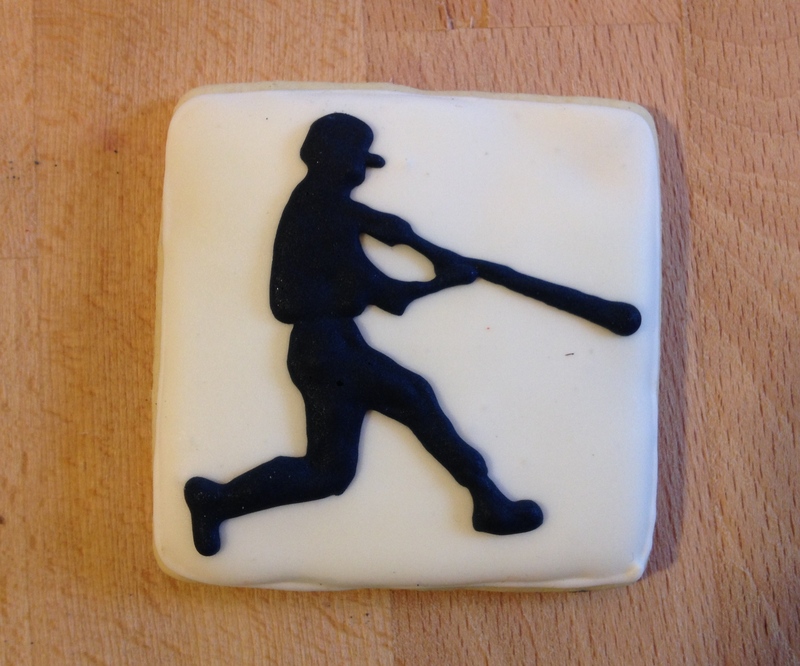 We are still working on making him a naturalized citizen of Red Sox Nation…all in good time. 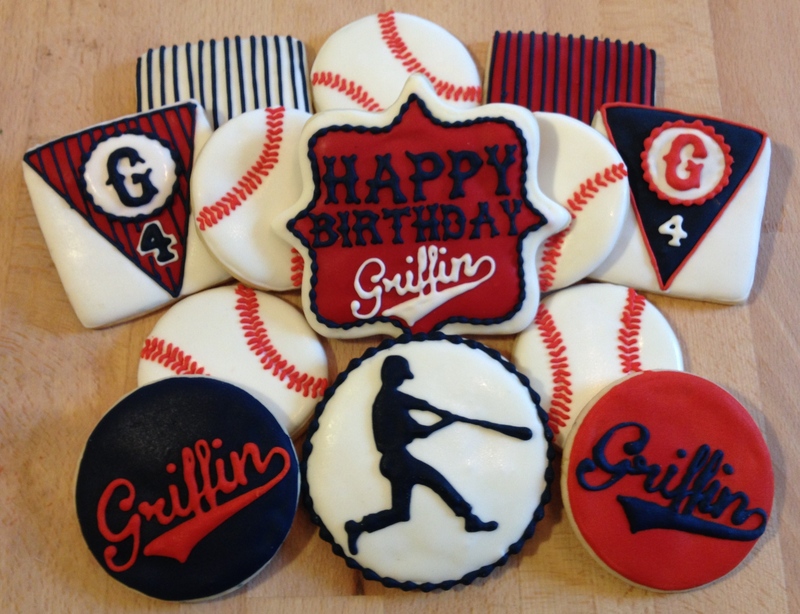 For his fourth birthday, his parents are throwing him a baseball-themed party at a nearby park. 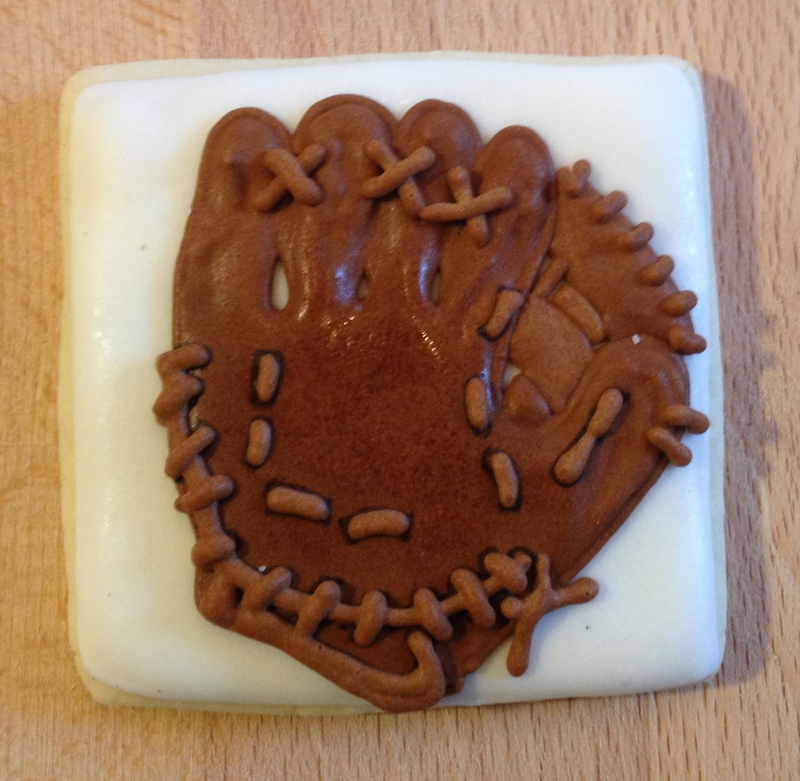 Since I cannot be there, I stocked up on bubble wrap, crossed my fingers, and sent my best baseball cookies to California. Thankfully, all but two survived the cross-country journey. Happy birthday, to my dear, sweet, funny Griffin!